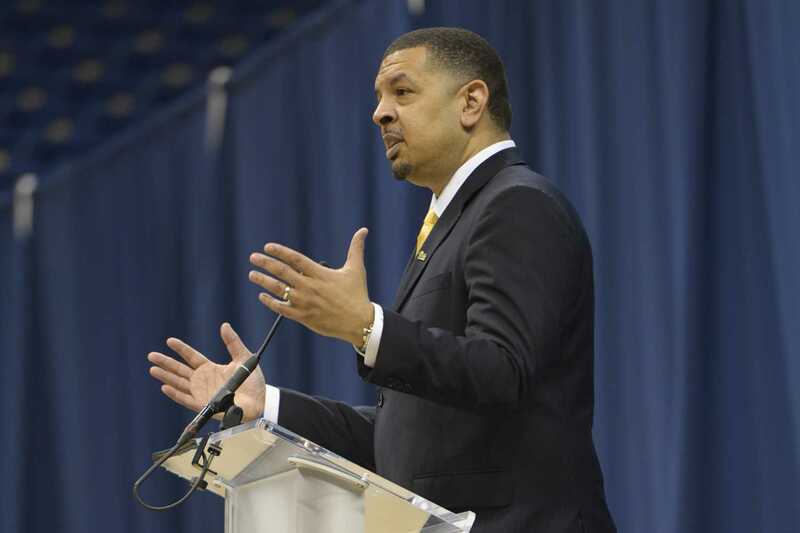 Jeff Capel and his new squad got a glimpse of their upcoming season Tuesday as the ACC announced conference matchups for the 2018-19 men’s basketball season. Pitt — who will be entering the season with Capel as head coach — will take on every team in the conference. Last season, the team went 0-18 in the ACC, setting records for the most consecutive losses in Pitt history. Pitt will play four teams twice — Clemson, Louisville, NC State and Syracuse — splitting home and away matchups. This marks the second consecutive season Pitt will face Louisville and Syracuse twice. The Panthers didn’t fare well in last year’s matchups, falling to the Cardinals in two of their biggest blowouts of the season — 77-51 and 94-60 — and also losing both games to the Orange — 59-45 and 60-55. At home, the Panthers will take on Duke, Florida State, North Carolina, Notre Dame and Virginia Tech. Pitt fans can breathe a collective sigh of relief at seeing Duke appear just once on the schedule. The Blue Devils are poised to be one of the conference’s toughest matchups, especially considering Duke’s talented No. 1-ranked recruiting class entering the 2018-19 season. The Panthers lost to the Blue Devils by hefty margins, 87-52 and 81-54, in their two meetings last year. Fans should also be excited about the Panthers’ home draw, as the slate will feature several opportunities to witness some of the ACC’s premier, NBA-bound talent in person. 247Sports’ top three first-year recruits — R.J. Barrett, Cameron Reddish and Zion Williamson — will all play for Duke. Williamson especially has elevated himself to mythical status based on his high school highlight reel alone, with his explosive dunking clips often racking up views on YouTube. The prospect of a Capel-rebuilt Pitt team pulling off an upset over Duke, or other storied programs like North Carolina and Notre Dame, should fill the Petersen Events Center seats with eager spectators. On the road, Pitt will compete against Miami, Virginia, Boston College, Georgia Tech and Wake Forest. Boston College, Georgia Tech and Wake Forest were, after Pitt, the worst teams in the ACC, finishing with conference records of 7-11, 6-12 and 4-14, respectively. This bodes well for the inexperienced Panthers, who should compete with these mediocre teams despite playing in a hostile environment. Specific dates for the matchups are yet to be released by the conference.